A walking food tour is a great way to explore a new area. 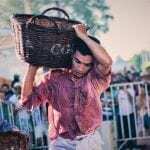 Find a local guide with a good reputation who knows their home turf well and enjoys sharing those hidden off-the-beaten track gems you wouldn’t otherwise hear about. Words by Irene Caswell. To the east of the Roman and medieval walls of the City of London and north of the River Thames, the East End of London started to emergence in the Middle Ages. Over time it became notorious for its poverty, overcrowding and associated social problems. Another major theme of the East End narrative has been the flow of migration, particularly evident in the area’s passionate food community. 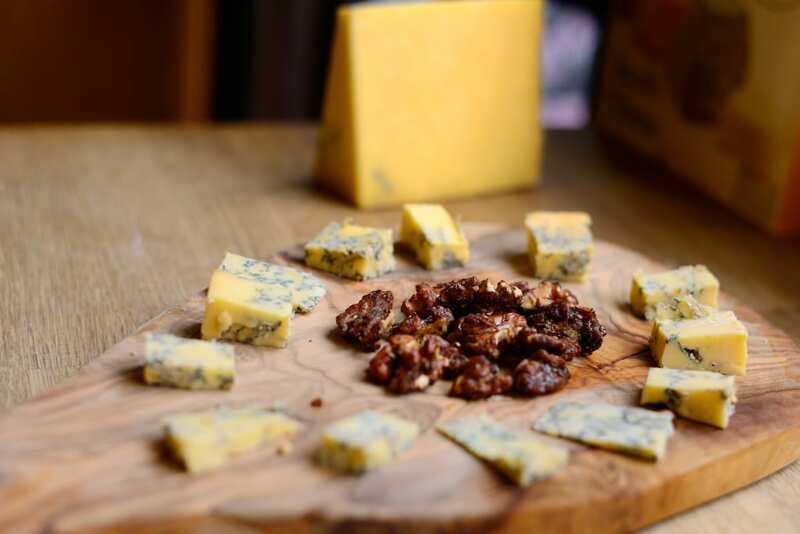 The East London food tour I decided to join was the East End English Food Tour as it features seven courses at independent restaurants, food producers and sellers; in between is sandwiched slices of the area’s social history. Let’s tuck in. 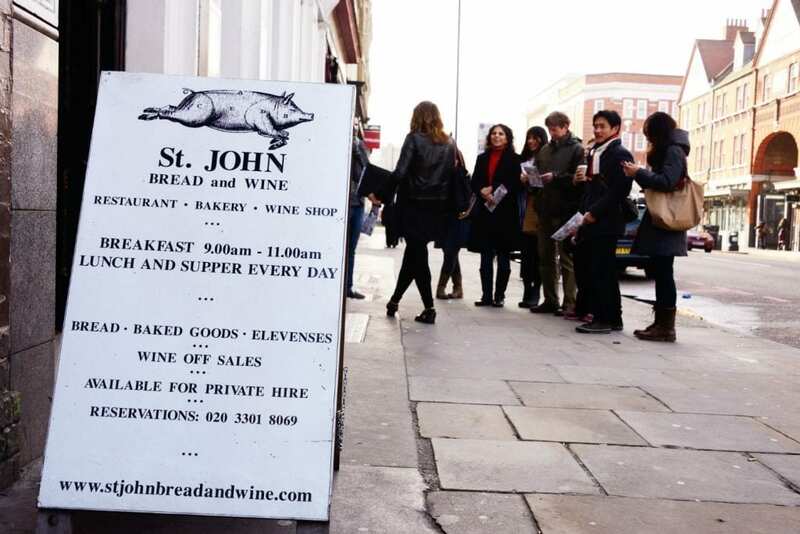 Setting out from the Old Spitalfields Market, the first stop for a late breakfast is English restaurant St. John Bread and Wine where we tuck into freshly baked bread and home cured bacon. The bacon butties are popular, judging by the busy mid-week clientele. St. John’s has won many accolades and awards. Under guidance from co-founder, Fergus Henderson, its philosophy is to use the whole pig ‘from nose to tail.’ Healthier options include St. John granola, poached quince and yoghurt. The interior decor is minimalist with plain white walls, blackboard menus and basic tables and chairs, with the emphasis firmly on the food, which is excellent. The Old Spitalfields Market, features pop-up foods stalls offering an international cuisine, as well as designers and makers of quality jewellery, clothing and furnishings, and regular specialist vinyl and antiques markets. To discover more about what London has to offer, read London South Bank: Tate Modern – Borough Market. 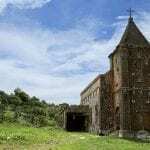 Originally a Roman cemetery, in 1197 the land belonged to St Mary Spital, a priory or hospital run by a religious order in an area referred to as The spitel Fyeld. Covered with fields and nursery gardens until late in the 17th century when streets were laid out, it became home to the French Huguenot silk weavers, followed by the Irish weavers and the Jewish tailoring community. A Royal Charter was granted to the area in 1622, and in 1938 it became the famous Spitalfields Fruit and Vegetable Market, trading until 1991. The great English writer and social critic, Charles Dickens, wrote extensively about the East End. 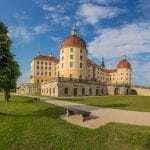 The area still boasts an eclectic mix of architecture and a culture as diverse as its impressive history. The ambience is of a lively village and a bustling commercial community. A cautious development programme maintains the attractive blend of upmarket retailers, such as Chanel and gentleman’s outfitters Hackett’s, alongside artisan makers, independent cafés and restaurants. The perfect setting for traditional English food. The 16th century The English Restaurant sits determinedly right next to a glass tower block and is a prime example of the juxtaposition of the historic Spitalfields and the new development. In the mid-20th century, it was the factory for Percy Dalton’s roasted peanuts and the external signage remains. We are served a traditional English Bread & Butter Pudding, which is creamy with a golden, crispy top and a sweet eggy centre, accompanied by pouring of custard. Eating dessert at 11am is unusual, but on first bite I decide this is definitely a good exception to the rule. 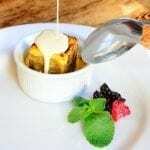 Originally known as ‘Dustman’s Wedding Cake’ the Bread & Butter Pudding was concocted to use up stale, leftover bread, although this one consists of a rich brioche and plump vine fruits. The flavours take me straight back to my childhood. Nearby, the former 19th century Providence Row Night Refuge For Deserving Men, Women and Children is now used for student accommodation for the London School of Economics. 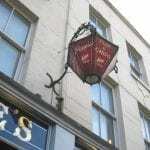 Mary Kelly, a victim of the notorious Jack The Ripper, once sought refuge here. Signage for the separate entrances for Women and Men is still visible on the exterior of the building. Top tip: Plan some time to go back and shop as this is not possible during this London food tour. The four-hour walk feels like a stroll around a vibrant and friendly village but there is so much to see and discover it makes the East End a destination you immediately want to revisit. 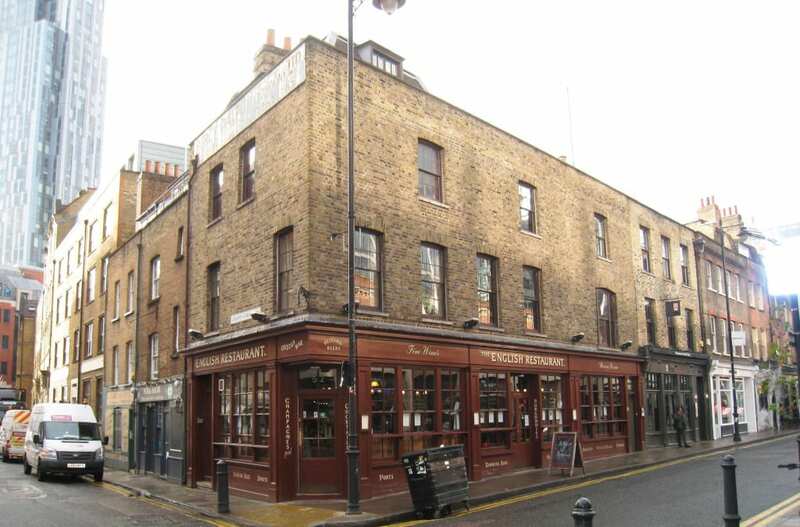 Apparently, the first UK fish and chip shop was opened in the East End by a Jewish immigrant, Joseph Malin, and combined Portuguese fried fish with traditional Irish fried potatoes. We stopped at Poppie’s Fish & Chips restaurant, established circa 1950s, where the chips are fried in peanut oil for crispness – make sure you mention this if you have a nut allergy. The crispy battered fish was tender and tasty and served with mushy peas, as a nod to your five-a-day. The décor is quintessential Fifties and Sixties style. Black and white photographs of British stars of the era cover the walls. On your way down to the basement loos look to your right and spot two original paintings by R Kray, one half of notorious East End gangsters, the Kray Twins. On to Princelet Street, a popular filming location including the successful television series Vanity Fair (2018). The former homes of the wealthy Huguenots showcase some of the most beautiful Georgian houses in London. Properties can sell for £3m, and residents include British celebrities. A private house originally owned by the Truman family, presents a scruffy, pink external appearance and is adapted frequently for different productions. These Georgian streets are an incongruous link, sandwiched between the Old Spitalfields Market and Brick Lane, and this clash of cultures is a large part of the East End’s charm. Next stop is Abondance to sample some tangy roquefort and a creamy goat’s cheese. The business was established by brothers, Alex and Leo Guarner, and specialises in artisan and seasonable cheeses. Leo is on hand to explain the particular production methods and special qualities of each. They also sell wine and the biscuits offered with the cheese, which were crisp and buttery. I make a mental note to return to stock up. 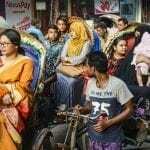 Around 1970, the Jewish presence in the East End diminished and the late 20th century saw the arrival of the Sylheti Bangladeshi community in Brick Lane, now known as the curry capital of London. Restaurants and specialist food shops line both sides of the street. We are served three Sylhety native dishes at Aladin, one of three restaurants in the Lane by the same owner and crowned “Best Curry House in Brick Lane” by Celebrity Chef Ainsley Harriott. The freshly prepared dishes – one chicken, one lamb and a vegetable dish – vary in heat from mild to fiery Madras, enhanced with spices and sweet coconut. At the Truman Bridge, the Bangladeshi atmosphere gives way to the newest community to locate in the East End. 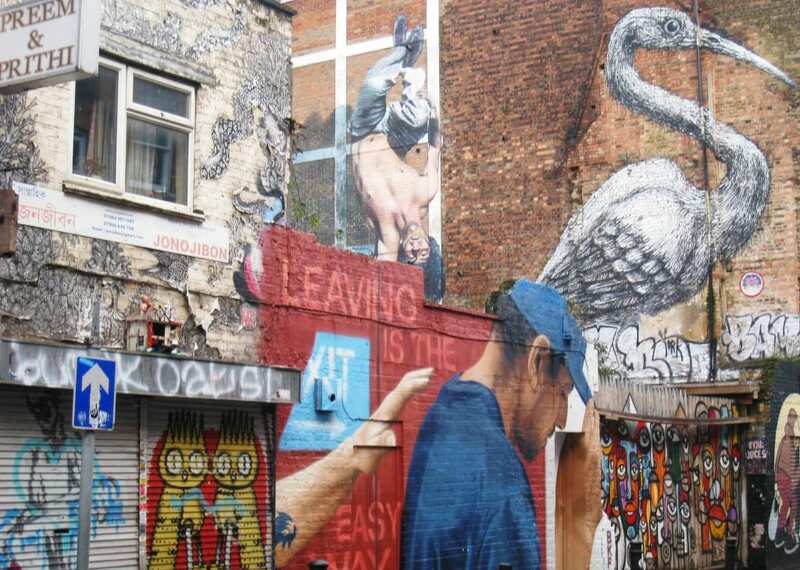 Here you will find a vintage market, artists’ studios, galleries, book shops and Brixton Food Hall. The colourful street art includes a giant mural of a bird by the Belgian artist, ROA. Often beautifully executed this art form adds further drama to the area’s eclectic atmosphere. 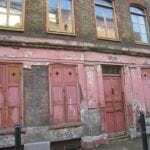 The East End’s social history is evident in its architecture enclosed in a relatively small area which makes it perfect for exploring on foot. The Jewish Soup Kitchen, established in 1902 continued to feed the community’s poor until its closure in 1992. People were expected to bring their own bowl and spoon and there was no seating so food was consumed standing up. 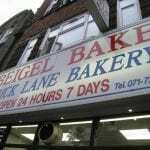 Beigel Bake is one of two remaining Jewish bakers in the district. Incredibly, they bake 24 hours, seven days a week. The distinctive breads are served stuffed with authentic fillings of salt beef with very hot mustard and gherkins, or smoked salmon and cream cheese. We are offered just half a beigel (pronounced bye-gull) each to enjoy, which is plenty as we are all feeling pretty full by now. Still, we only have one more course to negotiate. Located in a former tea warehouse in Shoreditch, Pizzaeast restaurant is jam-packed, with a pleasantly lively atmosphere. 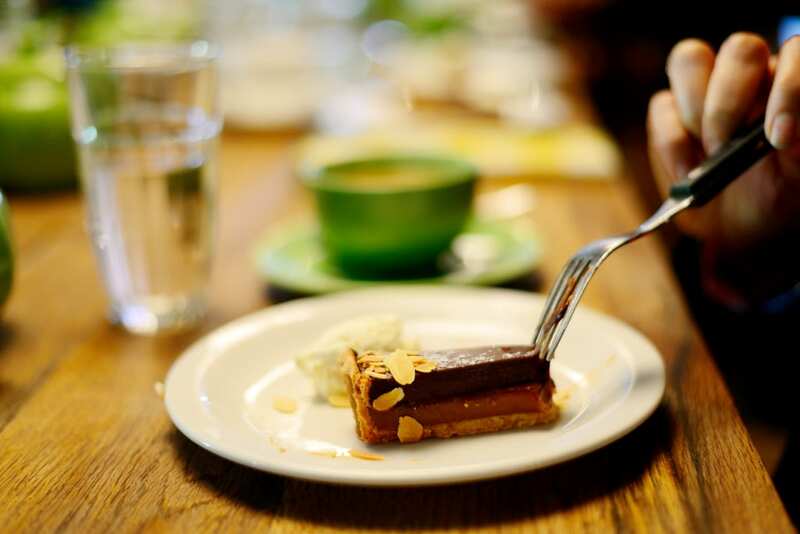 Fittingly, bearing in mind the building’s origin, here we enjoy a welcome cuppa, Earl Grey or English Afternoon tea in a ‘proper’ china teapot, and a salted caramel and chocolate tart, served with chantilly cream. This is not a typically English dessert but it is excellent, rounding off our East London food tour on a sweet note. 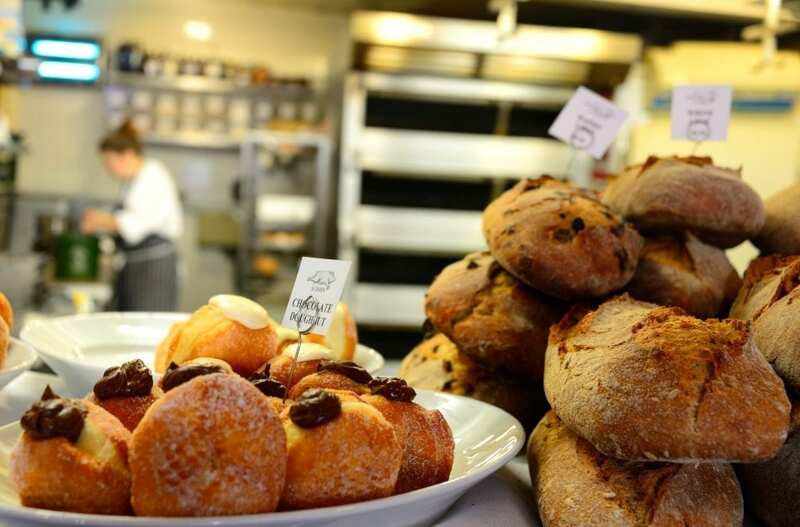 In addition to this East London food tour, Eating Europe Food Tours also operates in Amsterdam, Florence, Prague, Rome and, most recently, in Paris. 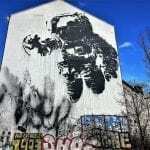 www.eatingeurope.com. All photos, c. Irene Caswell unless stated, cover photo c. St Johns. Photo of Union Flags at Spitalfields, c. London & Partners. 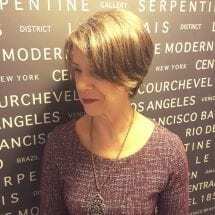 Irene Caswell is a freelance writer, with over 15 years PR experience within the culture, travel and lifestyle sectors. Her writing has included restaurant and exhibition reviews as well as travel features - she has travelled to 19 countries and over 27 cities, so far. A 2,500-mile trip around Europe in a vintage Healey Silverstone clocked up 11 border crossings and she has a particular soft spot for Mallorca, where she lived for a year. Best of all she likes walking the beautiful beaches and countryside close to her home in Hampshire.